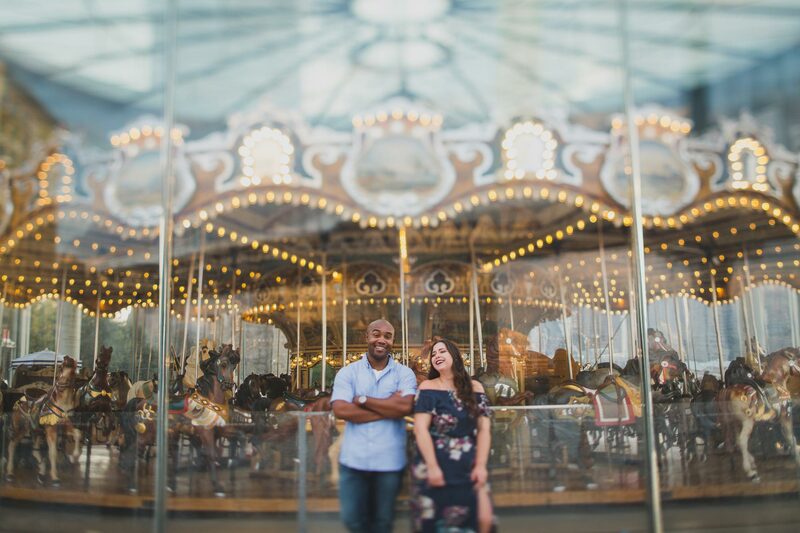 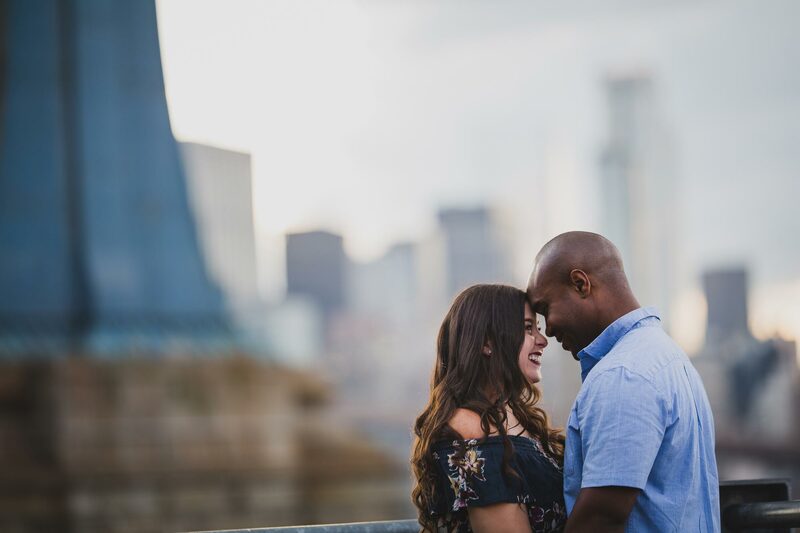 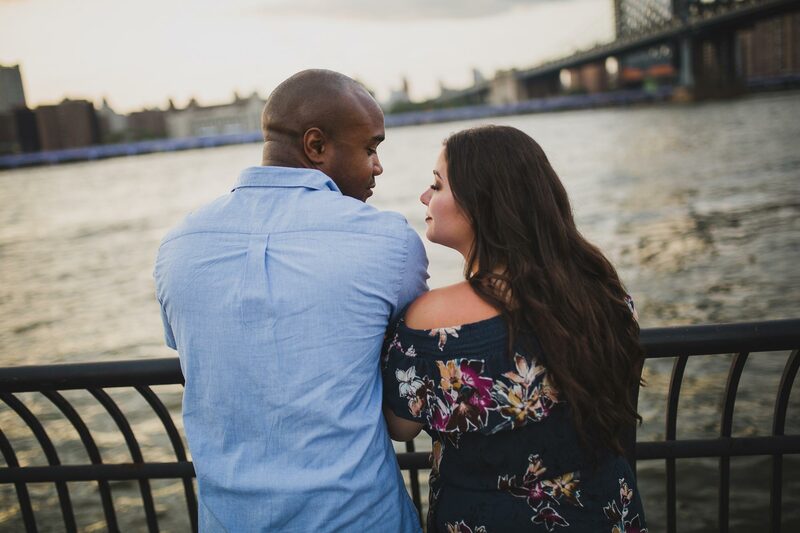 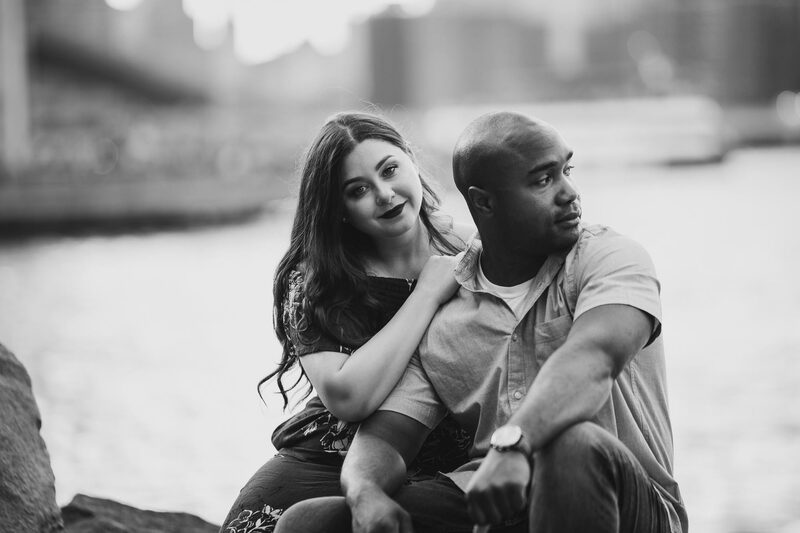 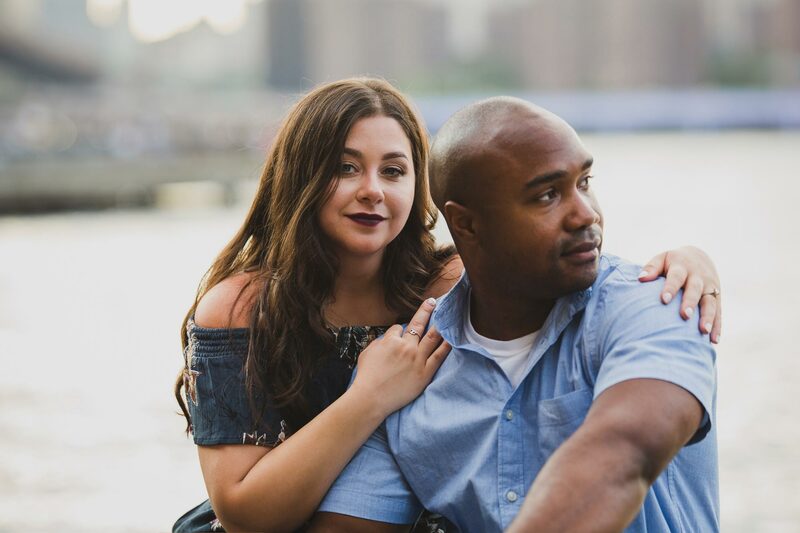 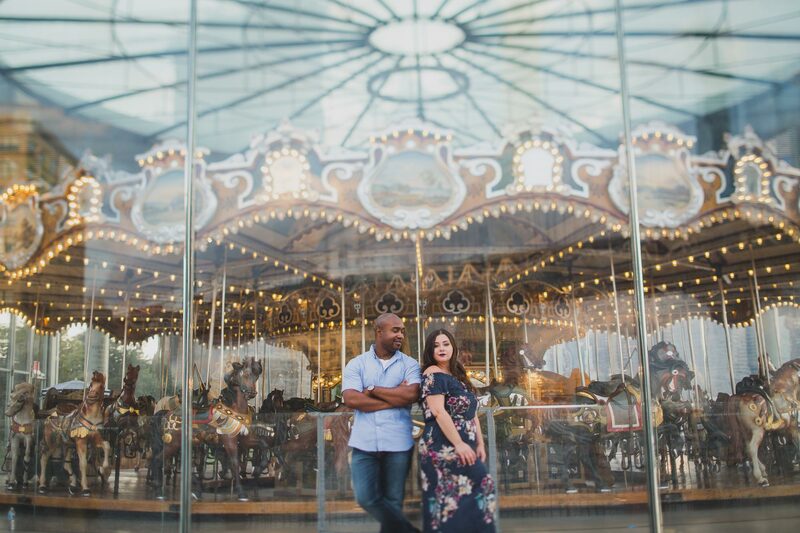 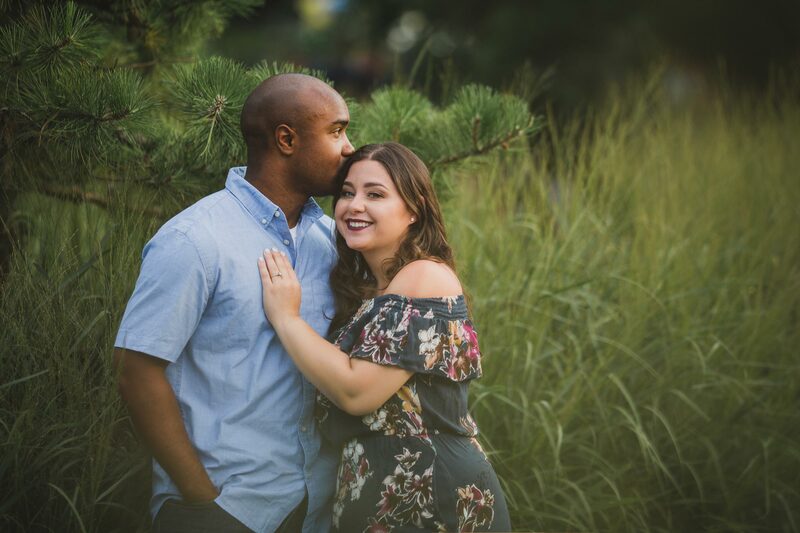 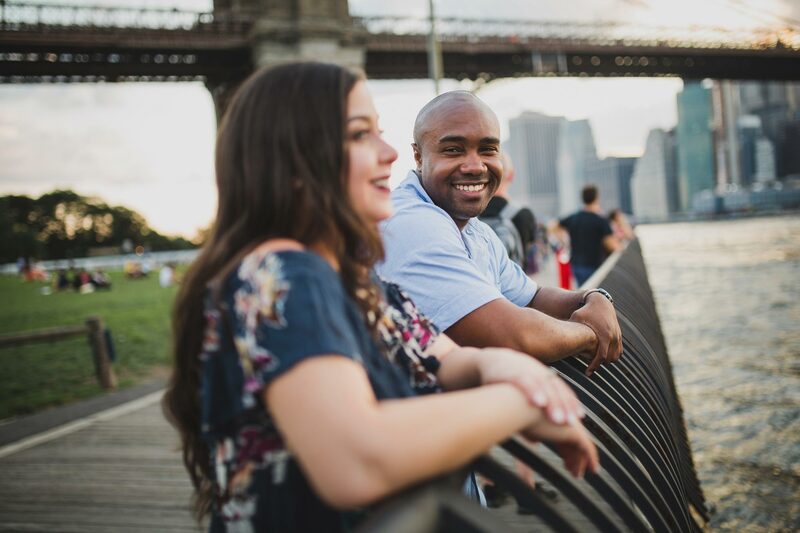 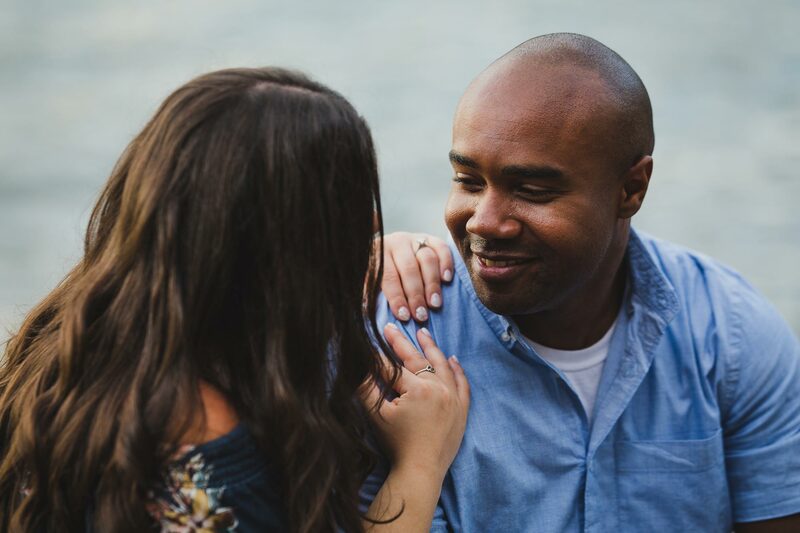 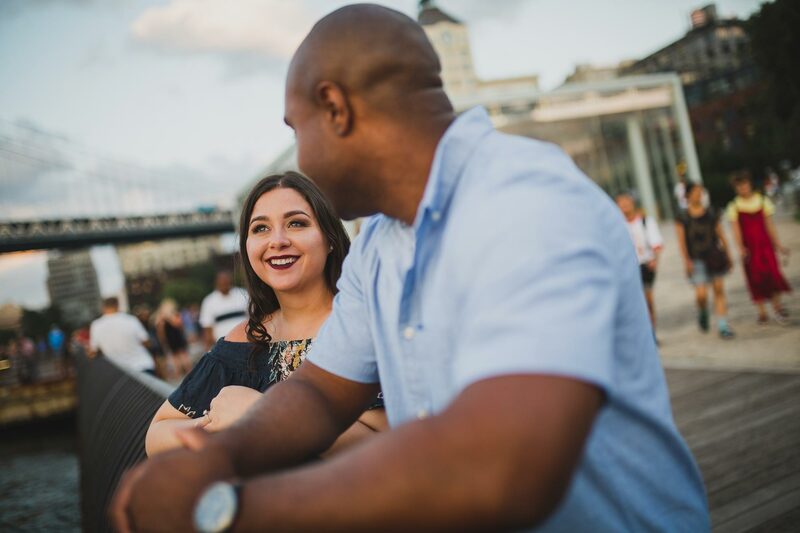 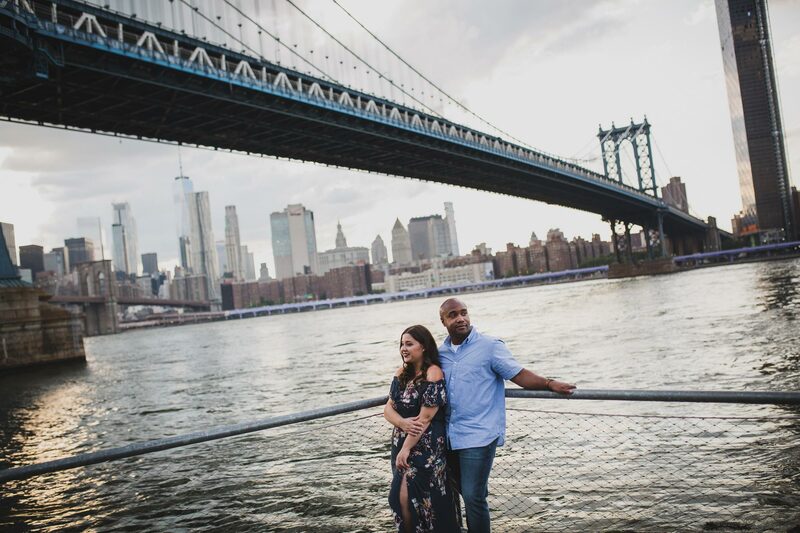 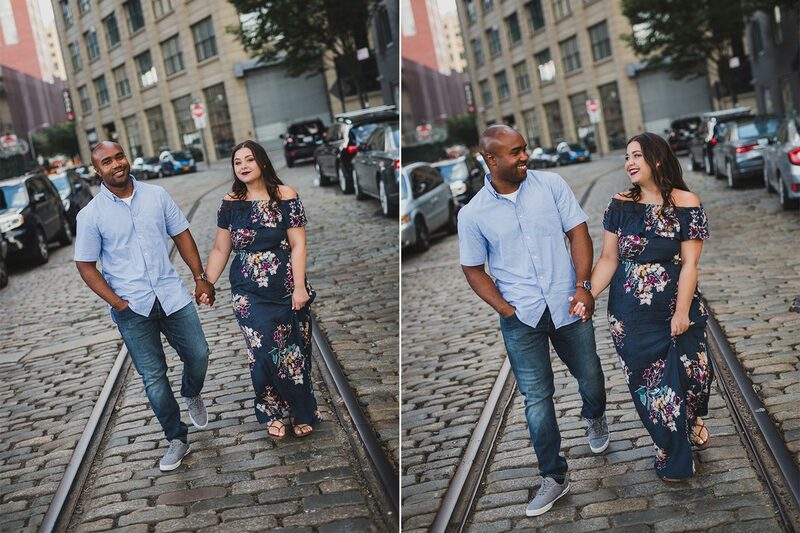 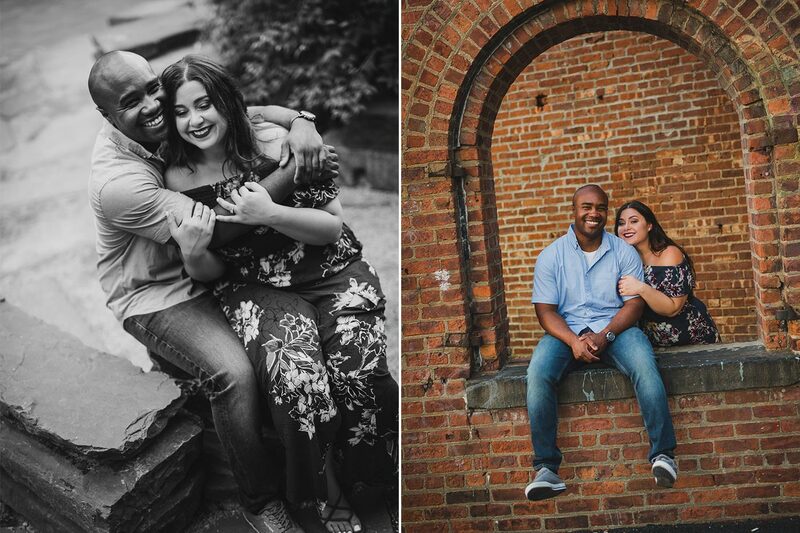 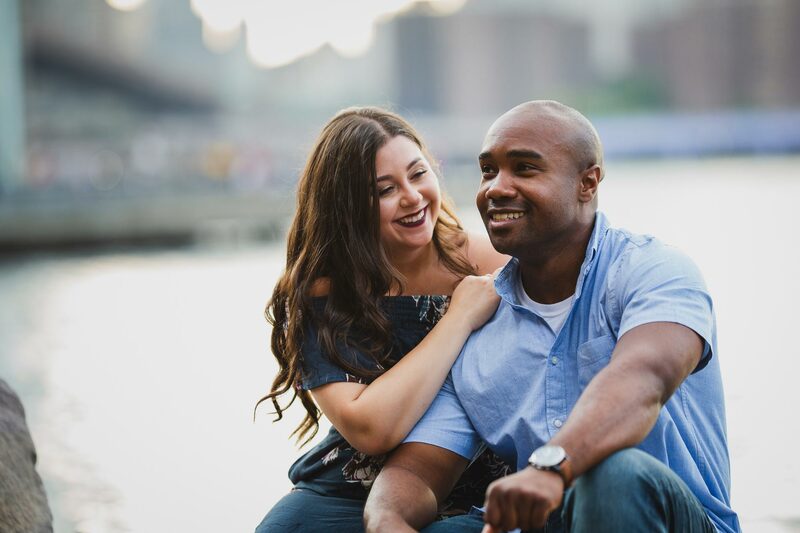 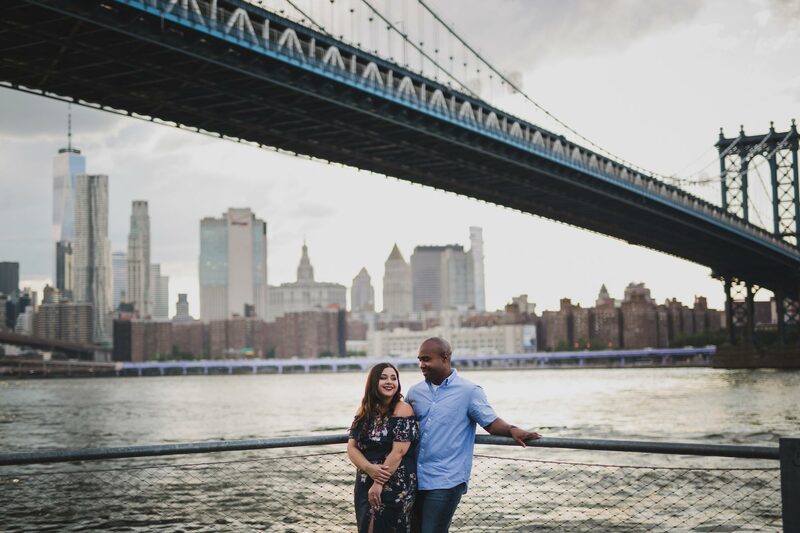 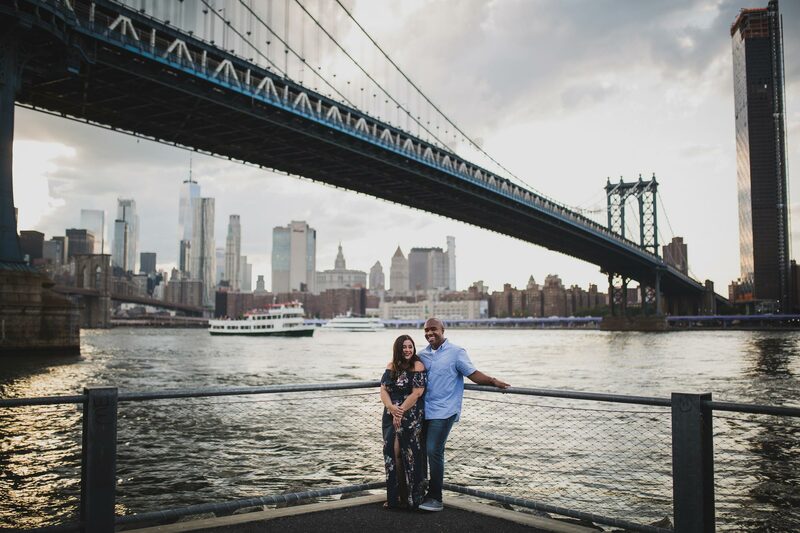 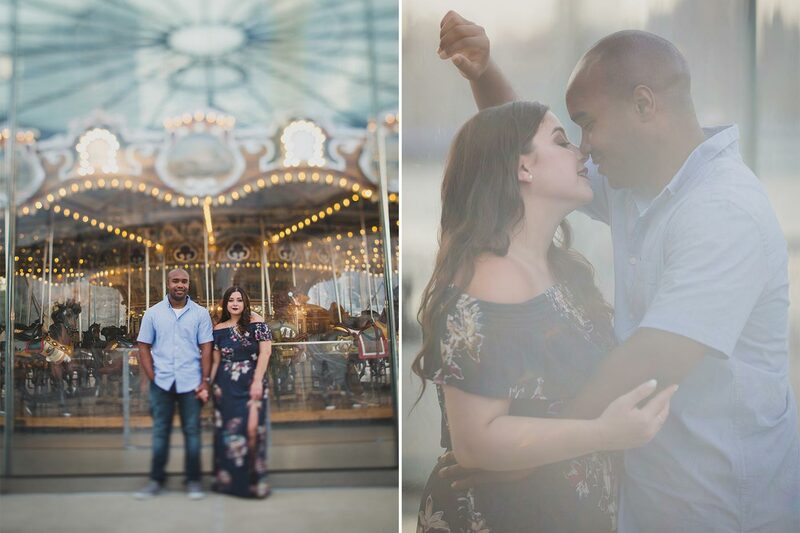 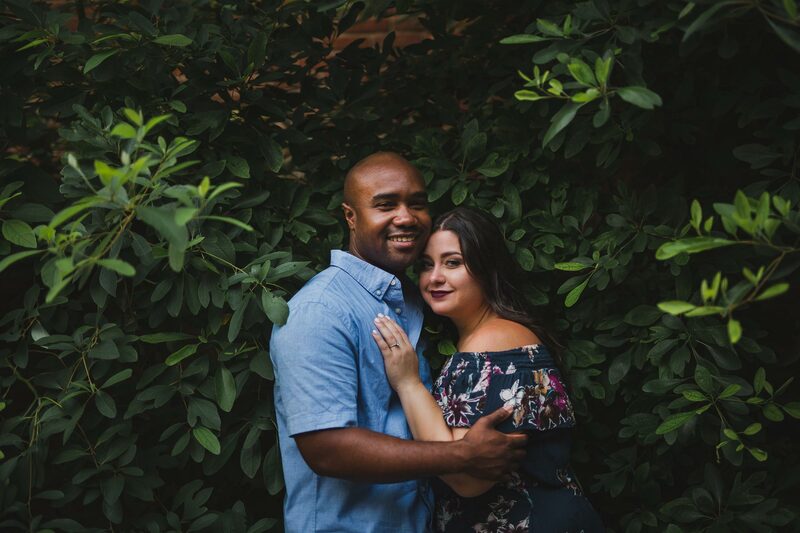 Caitlin and Alain are getting married in a year and decided to have their engagement session in DUMBO, Brooklyn. 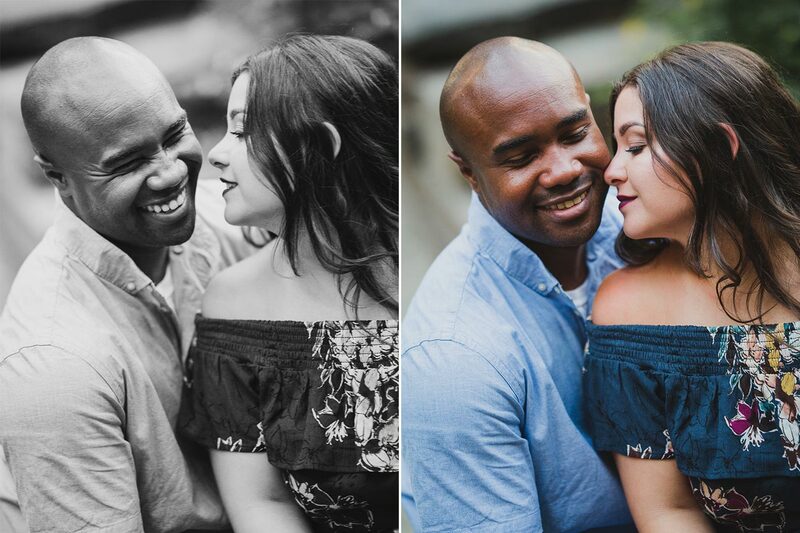 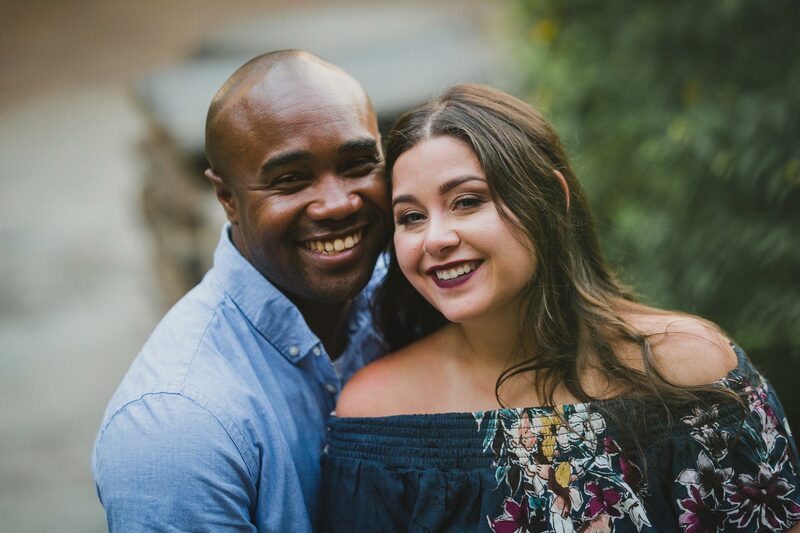 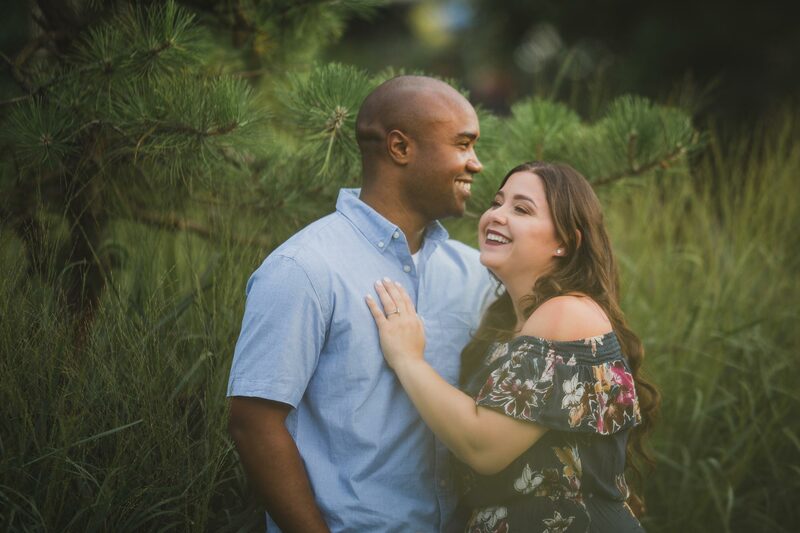 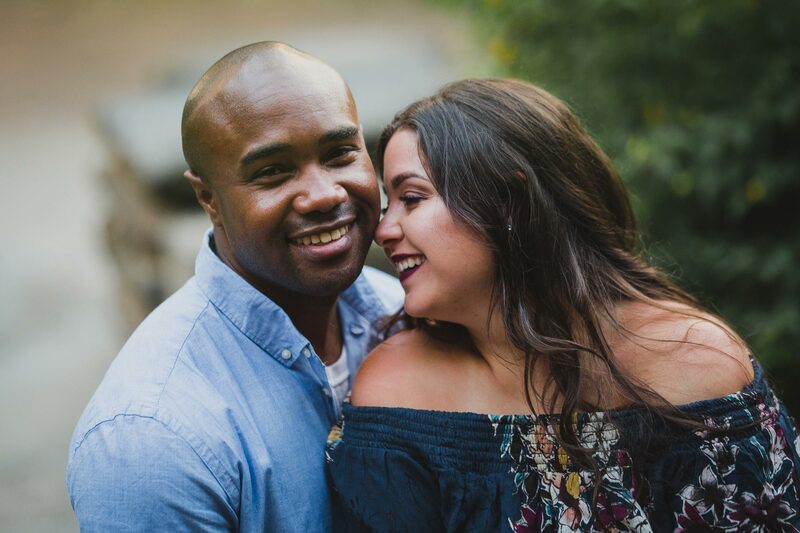 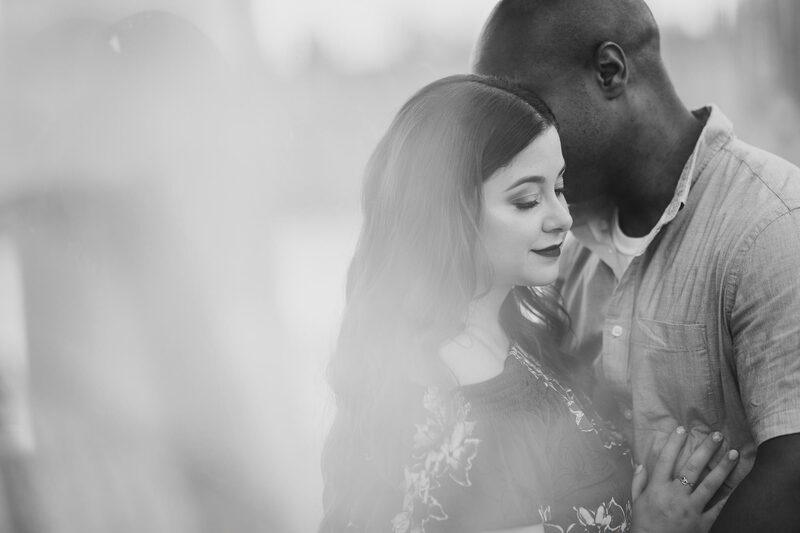 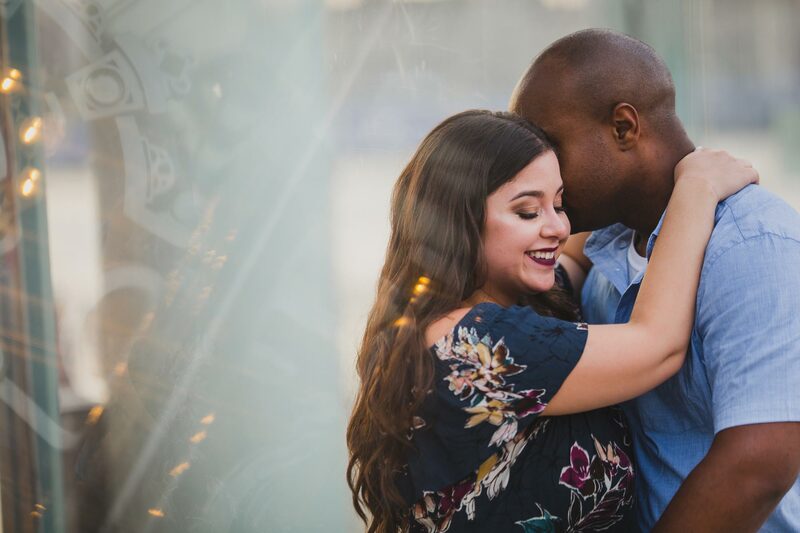 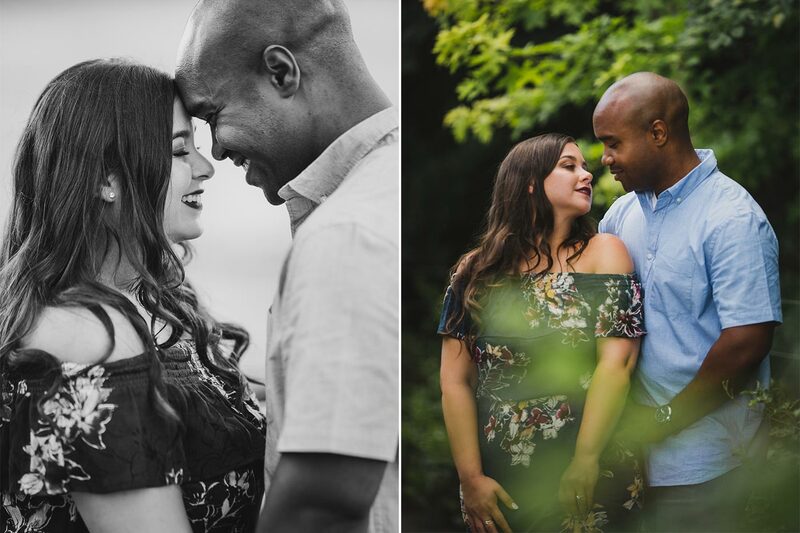 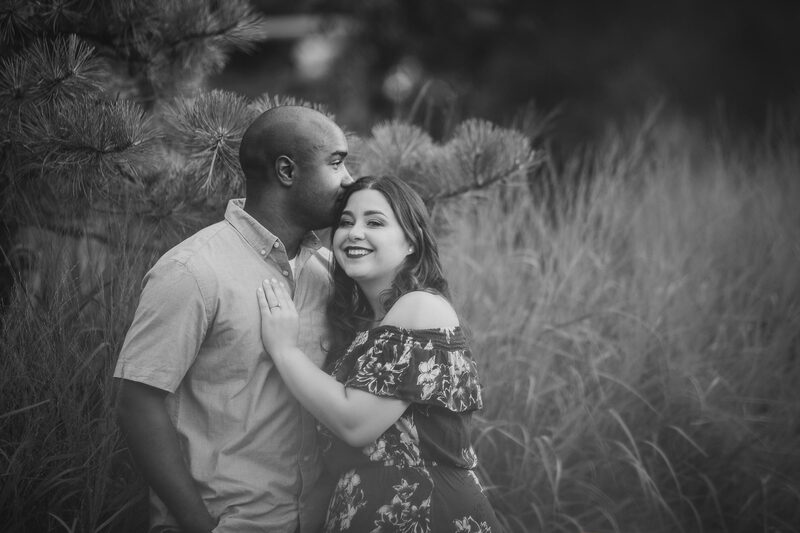 As I’m sure you can tell from their e-session photos, they’re the kind of beautiful couple whose love you can see in their expressions. 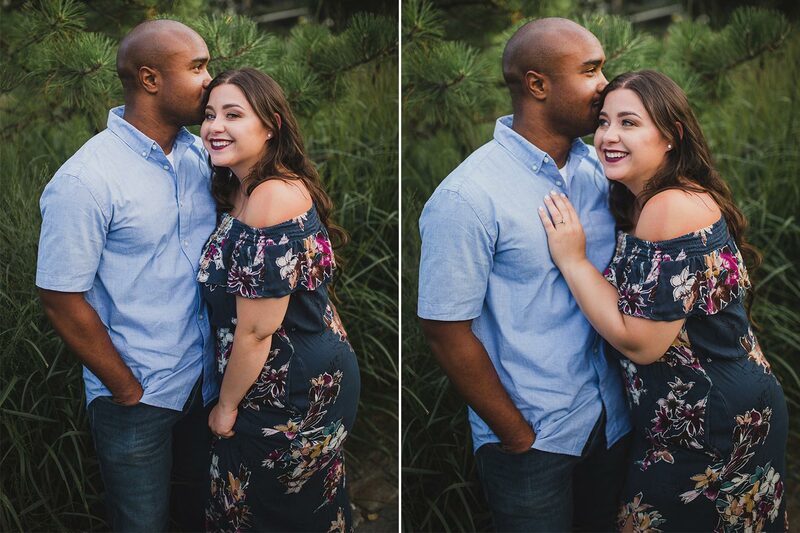 My kind of couple. 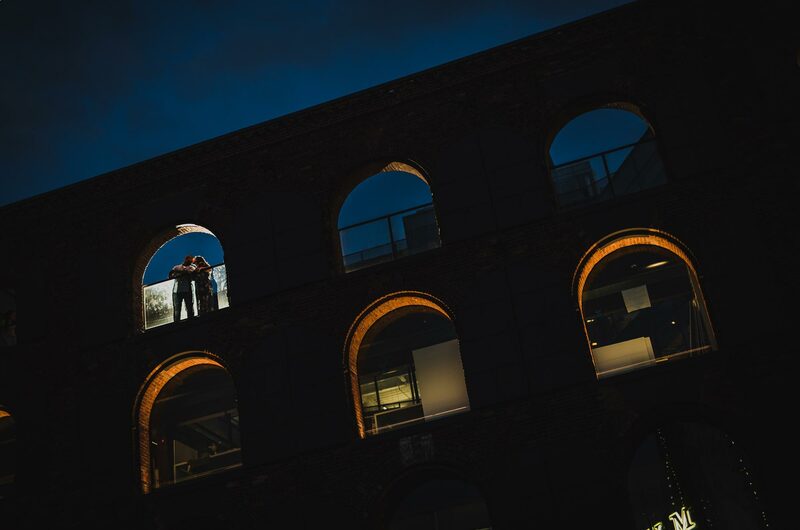 While the weather looked a bit gloomy, I actually find that they make for some dramatic photos with mood. 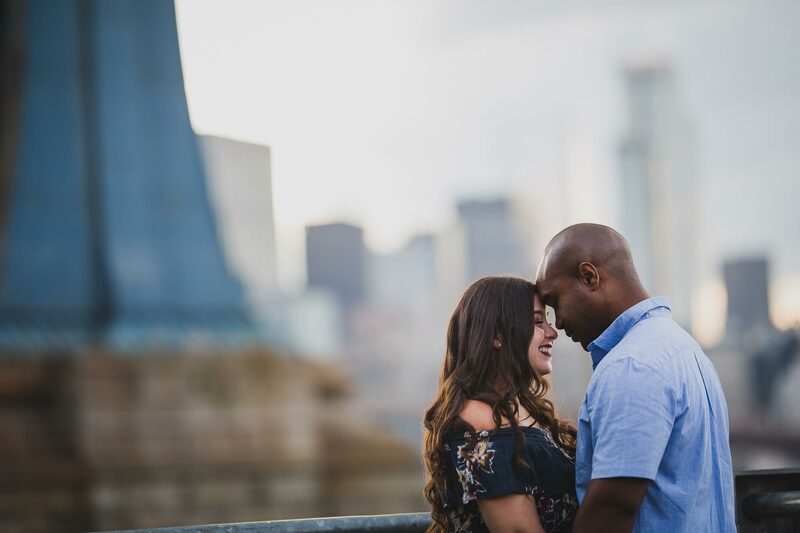 And mood I love. 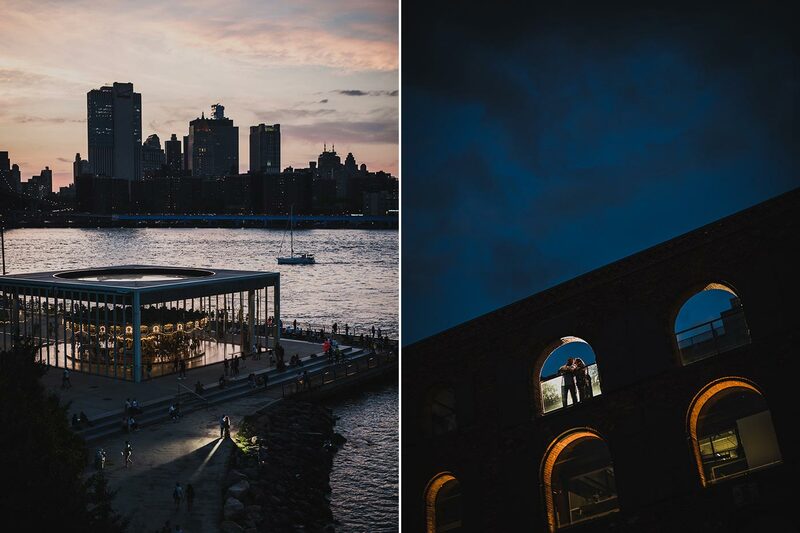 Don’t you think stormy clouds were perfect for the night shots?